Juror Peter Pinnell, a professor of art at the University of Nebraska, announced the awards at a reception Friday, Jan. 26. The show is on display through April 7 in the Octagon’s Main and Sweeney Galleries, 427 Douglas Ave., Ames. Inspired by the earth-tone palette of the ancient Greek painter Apelles, Jinkins used raw earth pigments from natural materials, which “often have a more unpredictable and unique coloring and texture than many more commercially available paints possess,” he said. 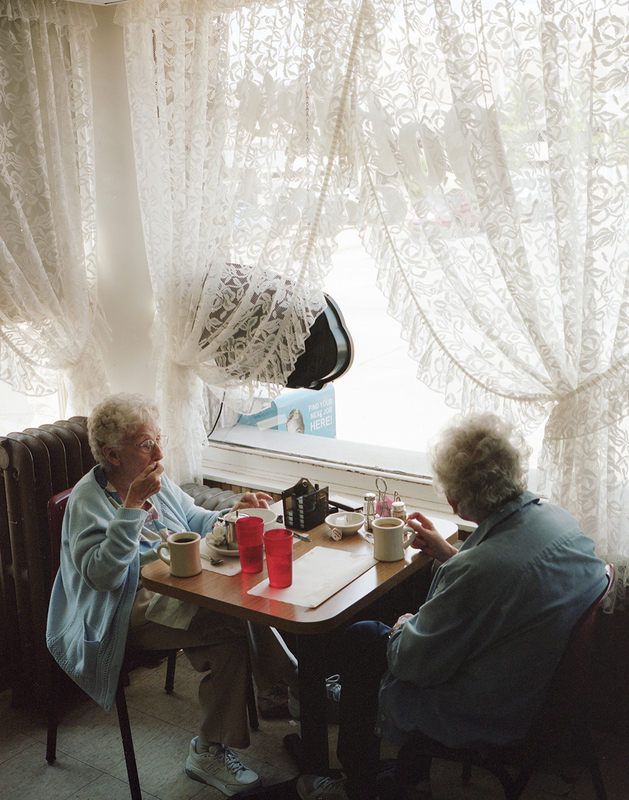 Des Moines photographer and ISU alumnus Jon Lemons won the Photo Media Award sponsored by the Octagon Board of Trustees for “Dottie’s,” a “street” photograph he shot with his medium-format film camera of two similarly-dressed women having breakfast at Dottie’s Café in Dubuque. Lemons received a Bachelor of Fine Arts in integrated studio arts with a double major in journalism and mass communication from Iowa State in 2009. He is a video production specialist with the Des Moines Public Schools. 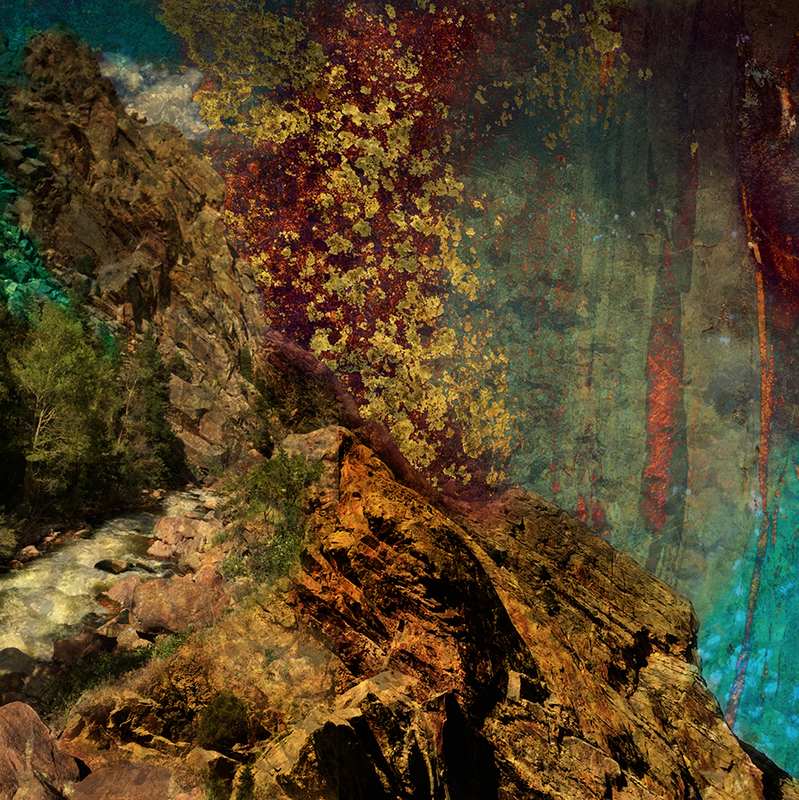 College of Design alumna and faculty member Carol Faber, Ames, an associate professor of graphic design, received an honorable mention sponsored by Haila Architecture for her “Colorado Rock” digital photograph. Faber holds a Master of Arts in drawing, painting and printmaking (1990) and a Master of Fine Arts in integrated visual arts (2004) from Iowa State. “Colorado Rock” also was awarded “Best Color Work Award” in the “Color of Korea ‘Natural Color’ Exhibition: 2017 International Invitational Exhibition of Color Works” at Hangaram Art Gallery in Seoul, South Korea.